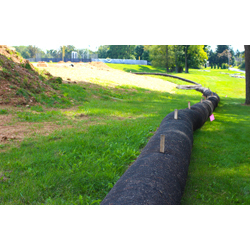 Silt Sock Inc. is a manufacturer of tube-based products that control erosion and reduce sediment. These products also reduce heavy metals, minerals and nutrients. The company also supplies fabric and equipment to produce the filled socks.